Whenever we’re audacious enough to categorize far future civilizations, we turn to the work of Nikolai Kardashev. Nick Nielsen today looks at the well known Kardashev scale in the light of a curious fact: While many use Kardashev’s rankings in their own speculations, few have gone back and dug into his original paper. In Kardashev’s terms, our planet is close to attaining Type I status, which would surprise many commentators. And doesn’t the ambiguity over what constitutes the energy of a star — red dwarf? red giant? — play havoc with cut and dried ‘type’ definitions? How subsequent writers have adapted and modified the Kardashev scale makes for a cautionary tale about mastering our sources before using them for further extrapolation. For that matter, are there better gauges of a civilization than its use of particular energy resources? Answering the question deepens the debate that Kardashev so fruitfully began. The name of Nikolai S. Kardashev is synonymous with the Kardashev ranking of civilizations according to their energy profile, and probably will be so synonymous as long as human civilization (or some successor institution) endures. Perhaps someday the term “Kardashevian” will be an adjective like “Copernican” and Kardashev’s name will join the select group of cosmologists who have given their name to an entire cosmological theory. Kardashev is a radio astronomer and among the pioneers of SETI, and his idea of classifying civilizations according to their ability to harness energy was directly related to his experience in radio telescopy (thus I find myself again in this post verging into the territory of SETI, METI, and Existential Risk). Kardashev asked himself how powerful an extraterrestrial radio signal would have to be in order to be detected, “by conventional radio astronomical techniques.”  The numbers he came up with were quite high, and this furnished the basis of his tripartite division of civilizations into Type I, Type II, and Type III. If a civilization could radiate EM spectrum emissions at the energy levels of naturally-occurring astronomical radio sources, such a civilization could be detected as easily as we detect pulsars, radio galaxies, and the like. For a civilization to radiate at such levels of energy, however, would require technological capacities beyond our current abilities. Kardashev notes his Type II and Type III civilizations could radiate at such high energy levels, and although we could not match these levels, we could receive these signals. He also suggests that known astronomical radio sources could have an artificial origin. Thus from a Kardashevian perspective, the existential risk of METI is negligible, as only very advanced and powerful civilizations would be able to transmit to the universe at large, while younger, less advanced, and therefore more vulnerable civilizations are restricted to passive listening, for all practical purposes. Sometimes the discussion of Kardashev civilization types seems to become a little too casual, and, like the sailors on the Pequod who each look into the gold doubloon nailed to the mast and see themselves and their personal concerns mirrored within, writers on the possibility of extraterrestrial civilizations (and especially speculation on supercivilizations) tend to read their preoccupations into Kardashev’s types without being much concerned with what Kardashev himself actually wrote about this. While many writers have parsed the Drake equation with painstaking attention to detail, I find it remarkable that no one seems to have done this for Kardashev, instead seeming to prefer impressionistic renderings of Kardashev’s civilization types. I – technological level close to the level presently attained on the earth, with energy consumption at ~4 x 1019 erg/sec. II – a civilization capable of harnessing the energy radiated by its own star (for example, the stage of successful construction of a “Dyson sphere”); energy consumption at ~4 x 1033 erg/sec. Note that there is an ambiguity of the Kardashev metric in terms of actual vs. comparable energy usage. A carefully constructivist account of Kardashev would insist that a Type II civilization is “a civilization capable of harnessing the energy radiated by its own star,” and that all of this energy must in fact come from that particular star and from no other source. In other words, given a strict conception of a Type II civilization, a civilization utilizing energy quantitatively equivalent to but not identical to the actual energy produced by a single star would not constitute a Type II civilization. Actual and equivalent energy use are very different measures, and Kardashev himself uses both formulations (type II is “energy radiated by its own star” while type III is “energy on the scale of its own galaxy”). 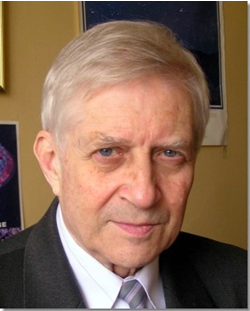 Image: Russian radio astronomer and SETI theorist Nikolai Kardashev. Moreover, in defining a type II civilization as, “harnessing the energy radiated by its own star” (a definition which is, I must observe, impredicative, because it defines an individual in terms of a whole of which it is a part) , Kardashev introduces an ambiguity due to the fact that there are stars of many different luminosities and temperatures. Generally speaking, the largest stars burn very hot, are very bright, and burn themselves out relatively quickly, while small stars are much dimmer and endure much longer. Brown dwarfs will likely outlast almost all other stars. One of the persistent themes we find in commentaries on Kardashev’s civilization types is that our terrestrial civilization is not yet a type I civilization, but this isn’t at all what Kardashev said. In fact, it is the opposite of what Kardashev said, as he specified for a Type I civilization a, “technological level close to the level presently attained on the earth.” Kardashev did not say what “close” means in this context. For the past decade, global energy consumption has been increasing at an average rate of 2.3 percent per year – more growth in years of economic growth or difficult winters, less in years of recession and mild winters. Roughly, this means that global energy consumption will double every thirty years, so that since the time Kardashev wrote his paper, global energy consumption is well on its way to quadrupling. So for those who say that we are still short of what Kardashev called a Type I civilization in 1964, even if we were a little short of the mark at that time, we ought to be well past the mark by now. This is closer to the spirit of Kardashev’s original exposition, since it focuses on the use of energy for interstellar radio communication, but, again, this is not how Kardashev formulated his types. Kardashev wrote of a civilization in possession of energy levels of, “4 x 1033 erg/sec. or more, which it is capable of transmitting in a coded isotropic radio-frequency signal, may be detected by conventional radio astronomical technique,” which is the energy he attributes to Type II civilizations, and he is clear in the body of his paper that it would be Type II and Type III civilizations that would be transmitting, and Type I civilizations, like ourselves, who would be listening. Kaku goes into much more detail in Chapter 8, “The Future of Humanity,” in his book Physics of the Future , most of which chapter is an exposition of Kaku’s interpretation and extrapolation of Kardashev civilization types. There is something intuitively attractive and plausible about equating a type I civilization with planetary energy resources, a type II civilization with stellar energy resources, and a type III civilization with galactic energy resources, and it would further be intuitively attractive and plausible to equate planetary energy resources with the burning of fossil fuels that are the result of a planetary biosphere (and are not to be derived from stars and are not found in space). This is Kaku’s approach. But this is not what Kardashev said. The ideas of Sagan, Kaku and others for a typology of civilizations are worthwhile, but they aren’t what Kardashev said. Nevertheless, as the idea of Kardashev civilization types becomes further elaborated, many writers routinely refer to Kardashev types, but this only compounds the ambiguity because one never knows if they are referring to what Kardashev actually said, or to subsequent embroidering upon what Kardashev said. And it is a different that makes a difference. If we cannot be clear about what we mean, we will only engender more confusion the more we say. The kind of elaboration of Kardashev we find in Sagan and Kaku has owes much more to Constantinos Doxiadis’ (Κωνσταντίνου Α. Δοξιάδη) vision of Ecumenopolis – the world city or universal city (which I wrote about in Civilization and the Technium)  – than to Kardashev’s scientifically-inspired quantification of civilization. If you read Sagan and Kaku next to Doxiadis you will immediate see the resemblance, whereas these visions of a harmonious planetary civilization have no place in Kardashev’s text. These are the sage words of a scientist who expects (or at least hopes) that others will take up his work and expand upon it. Tentative formulations invite others to revise and extend them, and certainly many have sought to do this with Kardashev’s civilization types. I don’t wish to suggest that the extrapolations and extensions of Kardashev’s idea are illegitimate, only that they aren’t at all what Kardashev said, and we ought to be clear about this. If we take up Kardashev’s idea in the spirit in which he initially proposed it, then other quantitative measures that have been suggested, such as measures of information processing , or even Kaku’s suggestion of measuring civilizations by entropy , would be appropriate extrapolations of the idea. Indeed, we might use several quantitative measures of civilization to define a parameter space, and be well on our way to mathematically modeling civilization. 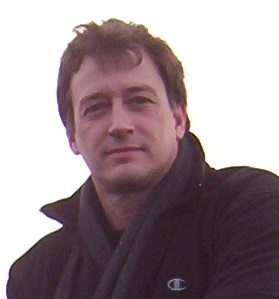 In Kardashev’s later paper, “On the inevitability and the possible structures of supercivilizations” , he mentions the parameters of “mass of constructions,” “power consumed,” and “information volume which describes the program activity and memory,” and suggests an argument from mathematical induction to arrive at arbitrary large civilizational activity. These suggestions seem to me more in line with what Kardashev had in mind than the persistent idea of planetary civilizations that have reached a stage of totality in harnessing some particular energy resource. You needn’t take my word for what constitutes an extrapolation of Kardashev’s civilization types in the spirit of its initial formulation. As of this writing, Kardashev is still alive, and I am sure that someone with the right connections could ask him what his intentions were in formulating his civilization types; it is Kardashev who could provide the definitive insight into what is and what is not in the spirit of his original (and tentative) exposition of the idea. However we choose to interpret and extrapolate Kardashev, we need to accustom ourselves to thinking as rigorously about civilization as we do about science (or, at least, make the attempt to do so) so that all those who think about SETI, METI, extraterrestrial civilizations, and astrobiology, inter alia, will not be derisively dismissed as being in the realm of “science fiction” – and I trust a good many of my readers have felt the sting of this charge when trying to discuss such matters in a careful and rational manner. This rigor is eminently within our grasp, but in order to do justice to it (and therefore to do justice to the ideas of extraterrestrial civilizations and supercivilizations) we must take care in our formulations to refine them to the fullest extent possible. Aristotle famously began his Nicomachean Ethics with the observation that, “…it is the mark of an educated man to require, in each kind of inquiry, just so much exactness as the subject admits of: it is equally absurd to accept probable reasoning from a mathematician, and to demand scientific proof from an orator.”  The study of extraterrestrial civilization, and of civilization simpliciter, does not yet admit of the degree of exactness of mathematics, but it is to be hoped that it admits to a greater degree of exactness than oratory. It is our responsibility to make it so. Kardashev, N. S., “Transmission of information by extraterrestrial civilizations,” Soviet Astronomy, Vol. 8, No. 2, Sept.-Oct. 1964. Carl Sagan wrote, “There is no provision for a Type IV civilization, which by definition talks only to itself.” (The Cosmic Connection: An Extraterrestrial Perspective, p. 234) Others, however, have sought to give content to the idea of a Type IV civilization and beyond. (Cf. Kardashev scale) John D. Barrow extrapolated a negative Kardashev scale to quantify the technological ability to manage ever smaller structures, in contradiction to the ever larger structures obtained by extending the Kardashev scale. Barrow’s formulation of Types I-III is interesting for its use of the idea of “restructuring” (i.e., a civilization capable of restructuring a planet, solar system, or galaxy, respectively) – an interesting idea, but not something to be found in Kardashev’s definitions of the types. Self-reference is a common feature of many paradoxes. Roughly, impredicativity is that form of self-reference derived from the violation of the vicious circle principle. (Cf. Chihara, Charles S., Ontology and the Vicious-Circle Principle, Ithaca and London: Cornell University Press, 1973.) Most big picture conceptions are impredicative; any definition of humanity that involves a reference to the universe of which we are a part is essentially impredicative. Basalla, George, Civilized Life in the Universe: Scientists on Intelligent Extraterrestrials, Oxford: Oxford University Press, 2006, p. 148. If anyone knows the source of the 1981 interview with Kardashev referenced by Basalla, I would appreciate it if you would make the reference known to me. Lamb, David, The Search for Extraterrestrial Intelligence: A Philosophical Inquiry, London and New York: Routledge, 2001, p. 182. (I previously discussed this book in Is astrobiology discrediting the possibility of directed panspermia?) Note that Lamb employs the locution of “restructuring planets” which is a formulation due to John D. Barrow (cf. note 2 above). Kaku, Michio, The Physics of the Impossible, New York, et al. : Doubleday, 2008, p. 145. Kaku, Michio, Physics of the Future, New York, et al. : Doubleday, 2011. I don’t know if Kaku originated this idea of measuring civilizations by entropy, but he gives a brief exposition of this in his Physics of the Future (Chapter 8, in which he discusses Kardashev civilization types) and provides no reference to a source in his notes, so I assume the idea is Kaku’s. Kardashev, N. S., “On the inevitability and the possible structures of supercivilizations,” The Search for Extraterrestrial Life: Recent Developments; Proceedings of the Symposium, Boston, MA, June 18-21, 1984 (A86-38126 17-88). Dordrecht, D. Reidel Publishing Co., 1985, p. 497-504. Aristotle, The Nicomachean Ethics of Aristotle, Translated by F. H. Peters, M.A., London: Kegan Paul, 1893, p. 4. 60 million years should be enough time to find rare earth…. Do we really need to be so pedantic about the exact meaning of k1, k2, k3…kn civilizations? Kardashev was using these as examples to illustrate issues of communication and detection. It is not unreasonable to use the short hand interpretations, k1 = fully using sustainable planetary energy resources, k2 = fully using the resources of the home planet’s star, k3= utilizing the energy of the local galaxy. Each stage is separated by many orders of magnitude. Does it really matter if a k2 civilization harnesses the energy output of a hot super giant or the relative embers of a red or white dwarf? The point surely is that the civ at this stage is space faring and has a local economy that uses most of the available local energy. For Kardashev this had implications for detection. Other disciplines will see other implications. Traditional SF, e.g. Asimov’s Foundation series, assumed extensive star flight, colonization of the galaxy, but never harnessing all the energy of a local star. He had our galaxy filled with barely k1 societies. This is not surprising given the technology at the time of writing. With Dyson proposing harnessing a star by 1960 as one of his signature bold ideas, and O’Neill’s 1970’s concept of extra planetary space colonies, we now can think about the ramifications of humanity transitioning through being a k1 civ in this, or the next, next century to becoming a k2 civ. The jump from a k1 to k2 civ is about 15 orders of magnitude energy use, and to a k3 about 11 orders jump from a k2. There is a lot of room between each jump for a civ to grow, but, AFAIK, the detection implications are different. ergs; (2) civilizations whose energy use approaches 4 × 1033 ergs; and (3) “supercivilizations,” that is, civilizations that have dominated their galaxies with their energy use, which amounts to 4 × 1044 ergs. He estimated the time needed for the development of a civilization of the first type at several billion years (by drawing on the example of the Earth). The shift from the first to the second type would only take several thousand years (an estimate based on the pace of increase in energy production on Earth during the last few centuries); whereas the shift from the second to the third type would take between twenty and a hundred million years. The latter estimate met with criticism from the other experts because, with such a “pace of psychogenesis,” practically all galaxies would already have had to have developed their own “supercivilizations.” Consequently, the sky would be a space of some very intense “astroengineering” activity and would be heavily populated with “cosmic miracles”—something that most certainly is not taking place right now. We thus have to conclude that either the development of (any) civilization is a highly improbable and hence rare phenomenon, and that civilizations develop only in certain galaxies (which means we could be alone in ours), or that some phenomenon (a kind of barrier perhaps? ), or even some multiple phenomena that remain a mystery to us, are hindering the growth of energy (and thus of technology). By whose measurements? And is Earth important or interesting enough to send a mission to? There are 400 billion star systems in the Milky Way galaxy. Apparently most if not all stars have planetary systems, which means more planets than stars. And even more moons, planetoids, and comets than exoworlds! Again, are we important/different/interesting enough to send an expedition to? Assuming they cannot learn all they need to from a distance, like we are going to be able to about exoplanets in the coming decades. I strongly agree with you that (peer) civilizations are likely to have curiosity in common; any life that remains viable as long as life has been viable on Earth (long enough to result in civilization) only remains viable on the condition of a significant level of diversity and flexibility. Curiosity is the cognitive driver of the pragmatic result of human beings always being on the move, always seeking greener pastures, and always trying new things. Lem was certainly a clever guy. But he was also a man of his time, which means he wasn’t that far removed from the naive age when people believed there were living beings on Mars, the Moon and other bodies of the Solar System. Most classic science fiction authors, no matter how hard they were in the science fiction spectrum, favored that idea, because it made their fantasies more plausible and honestly, the alternative was boring for a sci/fi writer and their audience. Such view has been increasingly under attack by science and technology advances, that show nothing more complex than bacteria or lower life forms could be hidden anywhere nearby. Nevertheless we still have hope to find something alive under Europa’s ice or in some other places like Enceladus, because such places are still inaccessible today. But it may come to happen that when we finally go there, we’ll find out there is nothing alive there either. Lem, being a clever guy, noticed very well that we clearly don’t live in a universe full of super-civilizations a la Kardashev, or we would have noticed them already. What he and his colleagues didn’t seem to like, was that such observation could actually be fully correct. Either they don’t exist or civilizations don’t follow Kardashev’s description. Which still leaves room for hider civilizations that refrain from any emission on purpose, or old misers that remain in their worlds forever and never try to explore the universe. I don’t think it is pedantic. I think we need to clarify our conceptions, not least due to the fact that, as you have pointed out, “the detection implications are different” — different not only for different levels of Kardashev civilizations, but also different for different interpretations of each level. There is a dramatic difference in conception between those (like Kaku) who see terrestrial civilization as striving toward the possibility of fulfilling the goal of becoming a K1 civilization, and whose who define K1 as being more or less our technological level in 1964 when Kardashev published his paper. Thanks much for this reference to Kardashev in Stanislaw Lem’s work. I was not familiar with this. By the way, I’m a great fan of your book Lonely Planets and will probably write about it sooner or later. I think it is clear that Earth is interesting enough to visit. We must assume that any other peer civilization is doing what we are doing to the extent that they are technologically capable of doing so, i.e., looking for a world like their own, which might host a civilization like their own. Just as we will eventually home in on any other industrial-technological civilization that we can find, if there are any to find, so too any other peer civilization will be doing the same thing — essentially, looking for us. If they are advanced even a hundred years beyond our present level of technology (which is a trivial amount of time on cosmic time scales), they will be considerably more advanced in this process than we are. I have tried to make this argument many times, but it seems I still can’t find a way to get traction. But I’ll keep trying. This should be “2.3 percent per year”, right? My problem with Kardashev’s scheme is that it does not take account of earlier phases of human civilisation, and therefore does not link up with non-astronautical studies of history and society. Until it can do so, it will not be part of mainstream culture. The concept of different levels of organisation of society, separated by periods of revolutionary change, is I believe a powerful one. But in order to be more widely accepted it needs to encompass societies which are not detectable over interstellar distances by radio astronomy: hunter-gatherer societies, then localised village societies, then regional civilisations. The industrial revolution puts us on the fourth level of organisation according to this scheme, not the first. Yes, that’s what I meant. It should have been “2.3 percent per year” not “2.3 times per year.” Thanks for the correction. I think of K1, K2 in a more poetic way, although the discussion was interesting. Just fixed the “2.3 percent” problem in the text. Sorry I didn’t catch that earlier. Here you go again. Please take some time to think and realize that any space-faring species that spreads to other stars every once in a while will, in 60 million years, have reached and settled every single system in the galaxy. Interesting or not. The last ones will be important and interesting just for the fact that they aren’t settled yet…. As long as we suppose there is no FTL, a type III civilization seems implausible, because galactic distances would prohibit communication, including the “harnessing” of the energy of more than one star in any coordinated fashion. The most plausible extreme outcome in this situation is a galaxy full of independent type II civilizations, one on each star. Call that type III, but it is not one civilization, it is a loose collection of billions of civilizations. @Nielsen …a civilization utilizing energy quantitatively equivalent to but not identical to the actual energy produced by a single star would not constitute a Type II civilization. This is why I think you are being pedantic. Kardashev was estimating the power output of radio transmissions that would be receivable by 1960’s radio astronomy technology. It therefore doesn’t matter whether the transmission energy is derived from solar energy, fossil fuels, nuclear fusion, or magic pixie dust. He wasn’t saying anything in his original paper about the nature of a civilization other than that they would use such energy to transmit radio signals. His k2 level was simply a thought experiment of output based on energy production growth over time, which would expand to stellar output. Obviously this is impossible on Earth, so the idea was to posit a civilization that could harness its sun’s output as a plausible source for energies 10^14 fold larger than 1960’s earth. In the case of a k2 civ, their sun is the most likely source of power, unless magic pixie dust exists. His later paper takes a much more speculative approach to civilization development. The purpose is to suggest what objects may be worth looking at as artificial in some way. Notice that he uses the phrase “planetary chauvinism”, a term that was coined when O’Neill was expounding on space colonies and peaked around 1980. This is used to support the idea of looking for Dyson spheres, which would be indicative of civs of k2 level. After that I cannot follow his argument for super-galactic scale civs, other than that he thinks they are a natural endpoint for development, which supports considering some galactic scale phenomena as artificial. Discussing civilizations in terms of scale and energy production is so rooted in historic western industrial norms that it is as quaint as using Star Trek as a model of the future. There are many other options to consider. The Kardashev levels should be left as convenient placeholders, as ill-defined as the color termed “blue” or, perhaps more relevantly, the obsolete terms “developed, undeveloped” to describe the economic state of countries. Taking the idea of technological transformation of nature to its limit for fun, we reach the possibility that the cosmos we see is not the inert raw material for such transformations on a local but is, rather, already the product of such a transformation on a global scale. Planned end product? Or negligible waste product? Would there be a way to tell? I like this and it’s always been the way I have thought it. Kardashev’s(*) original paper was focused on SETI but his classification scheme has morphed into a handy nomenclature. It prose science fiction it’s a bit diffuse , SF writers don’t go in for taxonomy , but it’s handy to have when writing non-fiction. How would one classify the Monolith Makers of 2001: A Space Odyssey? Question: What exactly are the bits measuring about a civilization? The text calls our current state an ‘H’ type at 10^14 bits. But that is absurdly low. I personally have about 10^13 bits of storage. Typeical modern disks are 4 x 10^12 bytes ( 32 x 10^12 bits). There are lots of peta byte data storage farms out there, ie 10^15 bytes (8 x 10^15 bits). I doubt that the current information stored on Earth is less than the range of 10^18 to 10^21 bits. True, there is much replication due to backups, but countering that is the ‘de-duplication’ storage systems that share blocks between files if they are the same. While information is probably a good measure, I think a bit more critical thought needs to be applied. The levels K2, K3 are unfortunately mired in the thinking of the science of today. Level K1 is fine, it’s the status quo of today’s energy usage. Why that particular level is remarkable or even notable is unclear. Is there anything special about 1964’s or for that matter 2014’s energy usage? We don’t capture all the energy incident on our planet, we’re still burning wood and coal and other fossil fuels for heat in some places. I’d propose a reset of the K1 level to something remarkable like the instant when a civilization stops the chemical burning stuff to generate energy, and instead goes 100% fission or fusion. K2 and K3, if there really were such civilizations and they could tap into our internet and read these writings, would probably laugh. K2 is not building Dyson spheres any more than the NASA Apollo program used large cannons to shoot astronauts to the moon in big shells a la Jules Verne. No, K2 civilization is completely ignoring the energy output of it star and instead is powering its entire civilization using the as-yet-unknown-to-us technique of cryogenically bottled cold fusion of dark matter, in a device the size of a household refrigerator. They travel through ordinary 4 dimensional spacetime as we do, only much much faster. They haven’t stopped to pay us a visit because of the prime directive, of course, which unlike certain Star Trek captains, they never violate. K3 civilizations can travel anywhere in the universe inter-dimensionally using thimble-sized power generators that extract the energy output from ?X?-magnetically confining a Higgs-Jensen 4TL-boson and three Z? !2$ monopoles into a E*-epsilon quantulic-gravitational lucent mass !QS3 zEntor. In other words, technology so far advanced of our own that we have neither the words nor the science to describe it, and will not have the words nor the science or even the basic understanding required for another 35,000 years. We could be looking into the night sky at a K3 civilization and not even see it, unless they wanted us to, which they don’t. I also feel that the original post is making a big deal of nothing. I honestly don’t care if our use of terms like “K1,” “K2,” and “K3” agree with what Kardashev envisioned in his original papers or not. To my mind they are only rough qualitative terms to remind us that it’s a big universe and there might be some civilizations operating on scales currently far beyond our current capabilities. Are we a Type 1 civilization now? Who cares? Is the answer going to change what we do or the way we explore the universe or how we speculate about life beyond our world? I doubt it. It seems to me we have more important things to think about. I have given this very subject a lot of thought. I am not dismissing your idea out of hand at all. If anything I need to collect my thoughts on this into a coherent paper because I consider this a very important issue to Where Are They? In fact it is probably vital to the whole concept. What I will say for now is I largely feel it makes an assumption that alien beings will behave as we might. Even if they did have a colonizing urge would they want to go to all 400 billion star systems? Would Earth appeal to such starfarers over lots of planetoids and comets in terms of accessible resources? I know you think colonies might last and grow for millions of years even if they came here that long ago, but I do not think you need something like an all-out war to eventually have a society collapse. I really want to give this the proper treatment it deserves and I hope to in the not too distant future. Regarding Martin Slough’s comment that the current Universe is the deliberate result of some intelligent action (dare I say an intelligent design? ), I also recall someone in a 1997 book on the Singularity by Damien Broderick titled The Spike that the galaxy at least is the result of an interstellar scale war and we are what is left. I wish I had the book handy so I could do better than my memory. These ideas may be bogus but you must admit they are fun and they make you think larger than the usual day goes here on planet Earth. Yeah, I always associated Kardashev types with their rough astronomical levels of development. Planet, star, galaxy. There’s so many orders of magnitude available that trying to pin 3 marks down precisely seems rather pointless. Surprised at his Type I: 4e19 ergs/s is 4e12 Watts, and I think humanity is using 18e12 Watts now, not counting ecological energy, so we’ve blown past that. But Earth intercepts 2e17 Watts of sunlight, while 10 billion people at US energy usage would use 1e14 Watts, which could be 1-2% of the land being used to make solar electricity. The Tipler-Viewing-Hart argument goes that one only needs a large phase space of civilizations and plenty of time to get one like us , and supposedly ipso facto we can predict that that civilization is predictable! Problem is , we are talking about predicting what WE will do when we become a star faring civilization in the FUTURE (if we ever really do! If we survive!). Predicting what kind social economic political entity we will be in the future is not possible. As I have pointed out before even population dynamics , long ago, went beyond exponential models into Lotka–Volterra models… and that’s just simple population dynamics, if one factors in all the subtleties of evolving a social-economic entity with it’s instrumentality hundreds of years into the future one treads of the ground of chaotic dynamics and sensitivity to initial conditions. We don’t even have a sociological biology theory like that right now, or at least a rigorous one. The maximal Lyapunov exponent of such a possible model makes its horizon of predictability a mind boggle! For me the Fermi Paradox is a NO CALL. Perhaps the better approach here (as Mark above alludes to) would be to base the level on capabilities as opposed to output. Assume that in a galaxy with 400 billion star systems that it’s easier for a civilisation to use a network of say 10 suitable candidates rather than build a Dyson sphere, even if it were capable of doing so. Reasons to not build a sphere are likely numerous and may even include the “eggs in one basket” argument we hear from proponents of colonising our solar system in case of an earthbound disaster (asteroid impact, etc.) The argument made in this article suggests that a civilisation capable of K2 dyson sphere tech *must* do so, and this is questionable. As such the K scale is interesting in an academic gedankenexperiment fashion but not useful otherwise. I am highly skeptical about measuring development by energy, as well. A society shifting entirely to “green” by the fusion of technology and nature via nanotechnology and genetic may use power less excessively than we do today. For a comparison one could also thing about the emission of radio waves and the direction which we have taken to a more cable-based system, which doesn’t mean we are less advanced then before – quite in the contrary. Personally i’d categorize in travel ability: planetary, interplanetary and interstellar, as well as intergalactic. That however dismembers the association to a “civilization” per se and allows for a much broader application (which i think of as positive). Its more a system to classify an organism (which may also being totally non-intelligent by our standards) on a galactic success scale (measured in survivability). That’s more like its in my opinion and allows for a much more general use of the concept. The source of the “transcription error” in elaborating Kardashev is obvious, and not actually problematic: He was discussing communication capability, whereas the more intrinsic issue that others seized on was energy consumption. That his concept is not what his name ultimately became associated with is quite irrelevant, and I doubt he cares given that the “Kardashev scale” as now known is a far more significant idea than what he envisioned. All he thought about was the ability to detect another civilization, not what civilizations actually are in themselves – i.e., properties that could constrain their numbers, spatial distribution, and physical scale. Kardashev as referenced in general discussion is more productive by far, and allows not only (as noted in the article) extrapolation to higher levels, but interpolation to known human history – even beneath what actually qualifies as “civilization.” For instance, without assigning any specific number, the lowest K scale would be a single autotrophic organism. The next lowest would be a single heterotrophic organism. Then collective heterotrophic organisms that form societies that hunt and gather cooperatively. The fourth lowest, and last before K1, would be a “fueled” society whereby heterotrophic organisms gather and store energy externally. K1, K2, and K3 would actually be collective forms of autotrophy, because civilizations would be directly connected to their energy sources (e.g., planet, star, galactic mass/black holes) via technology rather than having to gather it secondarily through hunting, gathering, farming, or fuels. Fractional civilizations between these “integer” types would be transitional, heterotrophic forms. E.g., fuels (particularly nuclear) would be utilized in spreading among the planets of a star, so that could be a K1.2, K1.5, etc., and also on a larger scale when spreading between stars. The autotrophic energy source (a star or galactic core) would only be networked throughout its neighborhood once a saturation point is reached and a new integer level achieved. Integers would be the most stable, longest-lasting, and also the most likely to be end-stage for lacking regular evolutionary motivation to expand. So there would be a lot of “Gaia” planets, fewer Dyson shells, and a few “Galaxias” out there, but running into sci-fi tropes of rocketeering, starfaring civilizations in transition between autotrophic integer civilizations would be unusual. The most likely contacts would be when a transitional civilization impinges on an integer civilization, absorbing or destroying it. But two highly mobile, heterotrophic types running into each other would be very rare even by the already astronomical math of the Drake equation. The definition of Peer civilisation is at issue here. What type of civilisation are we a peer to? Dyson’s actual ‘sphere’ (which he credits to Olaf Stapledon) wasn’t a solid sphere made of unobtainium, but simply a swarm of habitats and collectors in various orbits, intercepting much of the light of a star. Perhaps that is, based on our current observations, a bit premature. Although there have been numerous papers concerning Von Neumann probes, those usually end up, in best spirit of Tipler’s interpretation, due to the absence of any observational evidence, arguing against a wide distribution of life. Personally i am thinking we are not looking for the right kind of evidence. If technology leads ultimately to molecular assemblers (as far as i can imagine its the only kind of technology able to cope with a mission profile covering the vastness of an intergalactic environment), then this leads to profound questions about size of technology we are looking for. It also leads has implications for the kind of technology we are looking for. What else is life if not an intricate system of molecular machinery? Would we even recognize this as technology if we would come across it? Its possible that such “technology” forms the basis for all known life in the first place. And if that is the case… life should be widespread indeed wherever conditions permit it. I can’t give you a paper about a “lifewave” working its way through the galaxy, because, to my knowledge such a thing doesn’t exist at this time. But i can assure you any papers regarding Von Neumann distributional models are more or less the same thing form a certain perspective. What I will say for now is I largely feel it makes an assumption that alien beings will behave as we might. Even if they did have a colonizing urge would they want to go to all 400 billion star systems? Nobody has to want to go to 400 billion star systems. It happens one star system at a time. Every society need only think of the next unsettled system beckoning 5-20 ly away. No need to think bigger than that. The huge available length of time and the avalanche effect of colonization by colonies of colonies of colonies etc. will assure that, eventually, unclaimed systems will be few and far between, a rapidly diminishing resource, as it were. After several galactic revolutions (as in orbits) stirring things up, there should be 400 billion thriving societies, and only a few uninhabited systems left. This is the opposite of your picture of a wide open galaxy with a few wandering “starfarers” with too many options to bother about Sol. What you are forgetting to account for is the immense amounts of time available to these starfarers to go forth and multiply. I know you think colonies might last and grow for millions of years even if they came here that long ago, but I do not think you need something like an all-out war to eventually have a society collapse. I think you misunderstand me. I do not think colonies will necessarily survive and grow for millions of years, as a unit. Societies collapse all the time. I only claim that whenever they do, they will be replaced by new ones. By competing societies in the same system (most likely), from the remnants (if things are really bad), or by recolonization from the stellar neighborhood (in the worst case). Either way, a few thousand years is likely to be the most a system can possibly stay uninhabited when there are other inhabited systems around. From an evolutionary perspective, if we assume for a moment that the rise of life is a extra-planetary driven, recurring, galaxy-wide seed-event instead of single planetary genesis-events i would go so far to suggest that civilizations utilizing technological space travel occur at the end of the habitable window of a host planet. The reasoning is as follows: increased intelligence leads to more powerful technology. Powerful technology allows for powerful accidents (nuclear warfare, rampant nanotechnology, out of control genetic accidents, etc) and is thus DETRIMENTAL for long therm survival. However, as potential for extermination grows so does opportunity for extraordinary benefits. I’d expect evolution (given enough time) to maximize opportunity for beneficial developments whilst minimizing the chance for catastrophic failure (which naturally doesn’t propagate its genes not very successfully – not at all to be blunt). I can imagine a scenario where most of the habitable window is devoted to non-intelligent life and the development of intelligence is shoved as far back as possible towards the end of the window, leaving just enough time for the process to develop said benefits of awareness, whilst bargaining very little of the habitable time of the planet in the high-risk/high-gain bargain. Furthermore the motivating factor of being able to predict the collapse of the habitat (the end of the main-sequence time of the host star for example) shouldn’t be underestimated in forcing awareness into the desired direction. Thus i would suggest we turn our attention especially to planets nearing the end of their habitable lifetime. This is, of course, a very speculative approach. I and others have long advocated that SETI should be monitoring not just healthy G class suns but also stars on their way out of the Main Sequence. We might catch some vessels loaded with beings escaping their dying worlds or at least transmissions ala The Listeners by James Gunn. Supernovae are another possible target not only for the above mentioned scenarios but also as they are among the brightest objects in the Universe could serve as natural beacons. Any technological world with astronomers would (or at least should) take notice of a supernova. Beings towards the SN would beam messages outward from the direction of the SN and might hopefully get the attention of said observers while they monitored the exploding star. Has anyone heard or seen much from the presumably active SETI programs operating across the globe? I haven’t. In fact whenever I do I do not see research being done but rather the begging for funds and comments that the data they have collected they cannot afford to process. When they do conduct observations, they mainly seem to focus on “token” systems such as recent Kepler discoveries which have little to no chance of harboring intelligent technological beings. And that METI effort Lone Signal seems to have disappeared after a lot of fanfare last summer. I realize the economy continues to put dampers on such projects but as Dr. Stuart Kingsley and Dr. Paul Shuch showed back in the early 1990s, experienced amateur scientists can conduct both radio and optical SETI with available hardware and software. We could potentially have thousands of such “amateur” SETI stations all over Earth looking and listening for signals, rather than just relying on the big boys. Let us take a cue from private space industry for our future out there. What I will say for now is I largely feel it makes an assumption that alien beings will behave as we might. Is that really a bad assumption? To reject it would be saying that we are a special, unique sort of race. Not exactly in accordance with the Copernican principle otherwise used to postulate ETI. And then, we really only need to assume one thing: That others would have a tendency to go forth and multiply, as we do. To me, this is as much a fundamental, defining property of life as you can get. Saying all ETI would not have this quality would, again, be saying that our form of life is unique. Worse, it would postulate a more common kind of life that has no drive to expand. To me, that is a contradiction in terms and very hard to defend. A.A. Jackson: This is a sound argument. Just a bit sad, as it essentially says our hopes and dreams of going out into the universe are all just that, and will never come true. Firstly, let’ s modernise these units to Watts: K1=10^12 W, K2=10^26 W, K3=10^37 W (factor of 4 not important). Next, K2 represents the total power of our sun, and we can’t bring all that back to Earth and use it for building exotic devices – we’d fry the planet. So K2 implies, at minimum, that we have off-world capabilities. I see it completely differently. For easily understandable reasons all non-intelligent life shows the Malthusian Imperative – where it fills all habitats available to it. When we look to our own species it has been no exception, and when we look forward, very few envision it as limited in that way by a mysterious barrier. Thus when we look to ETI and we use the premise that that every single one of them differers from this fundamental principle, I can’t help feeling that it is forlorn argument. Given that organic life originates in natural processes on solar system planets, it follows that life has been evolving on billons of Milky Way planets for billions of years before the Sol planetary system formed. As was often the case, Fermi asked the right question. They aren’t here because the laws of material physics do not allow faster than light “warp drives.” A practical implication is that no physical civilization can ever evolve much past Type 1. In any case, no type 1 civilization could seriously contemplate interstellar travel before it first develops sentient AI systems and AI persons. The laws of physics will force the advanced type 1 civilization to mostly resign itself to exploration of its own material solar system and high resolution infinite virtual worlds created by electronic AI. That is a universe without limit that in principle will be immediately accessible to organic being apprehension. Humanity will not go to the stars, it will instead go to the virtual reality chambers. Previous post: Solar Probe Plus: Prelude to ‘Sundiver’?